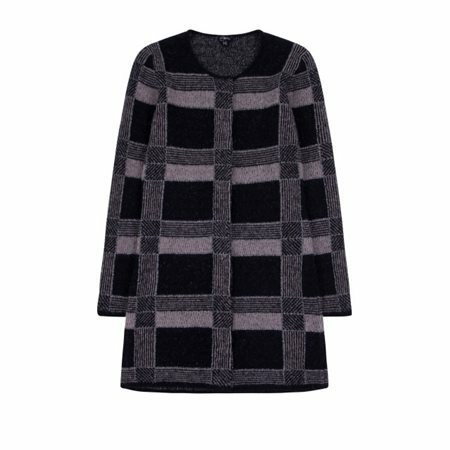 This cosy knitted cardigan by Emreco is a great choice of cover up for the Autumn/Winter season. The check pattern has been enhanced with silver threads and the simple neckline gives this knitted cardigan an elegant finish. It closes with a row of poppers and would look great worn over leggings and a simple roll neck pullover.